Are you working on an article related to online dating, niche dating or social networking? If so, then you are in the right place. Passions Network has over 200+ individual niche dating & social networking sites covering every possible theme. Politics. Religion. Ethnicity. Sexual Orientation. Geography. Body Type. Etc. Passions Network has been online since 2004 and with several million profiles, it is an active and growing network of sites. 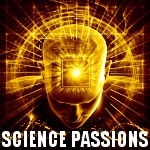 For additional information on Passions Network, check out our Passions Network Facebook page. For additional information, feel free to contact us directly via feedback@passionsnetwork.com.